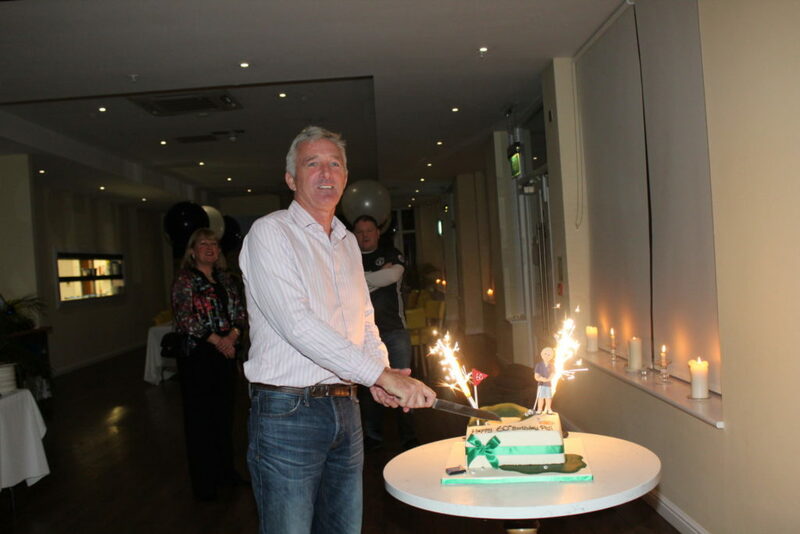 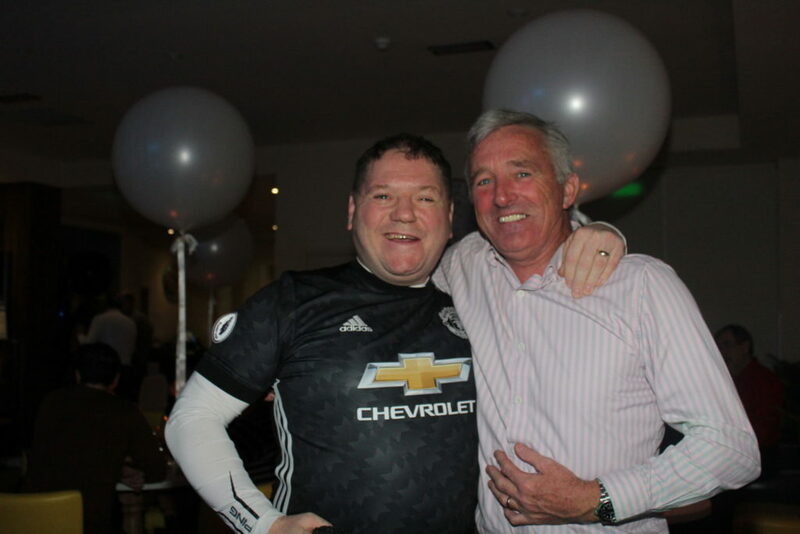 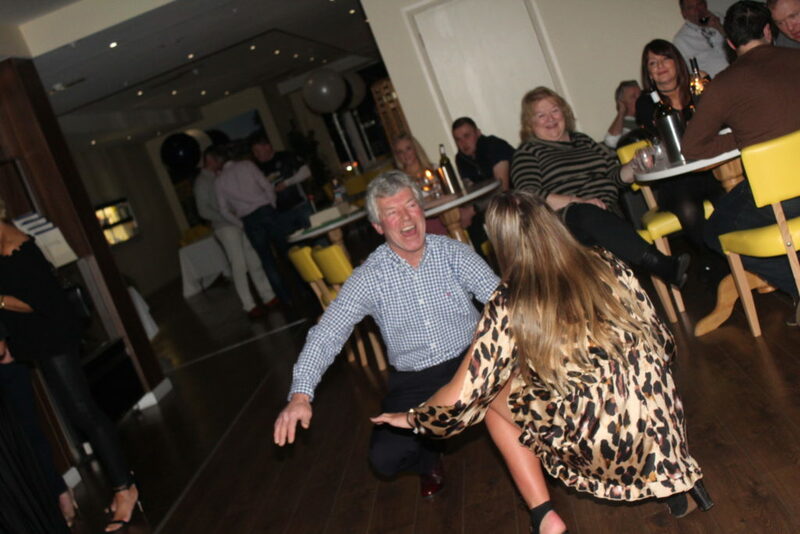 “Jackie & Andy, I just wanted to drop you a line to say how fantastic you were on Saturday night for Dad’s surprise 60th birthday party. 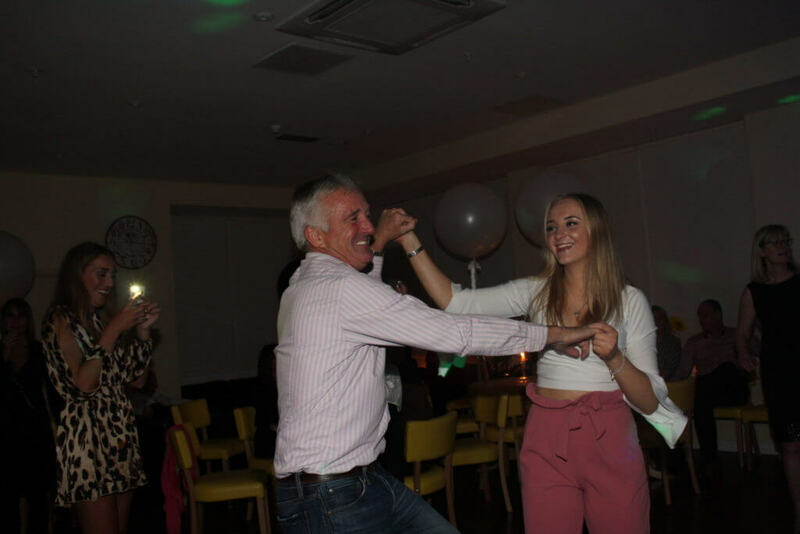 We had looked online at hundreds of different acts and it's always a difficult decision and an act of faith to book someone without a personal recommendation. 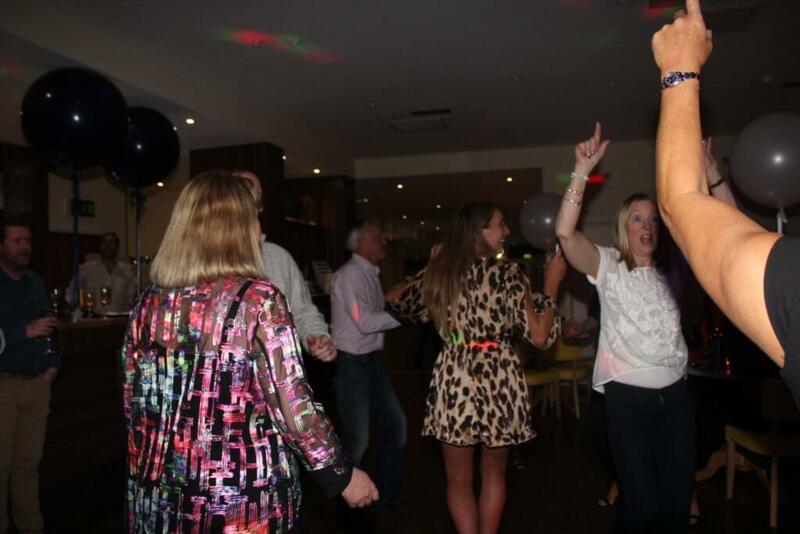 However, you were absolutely fantastic. 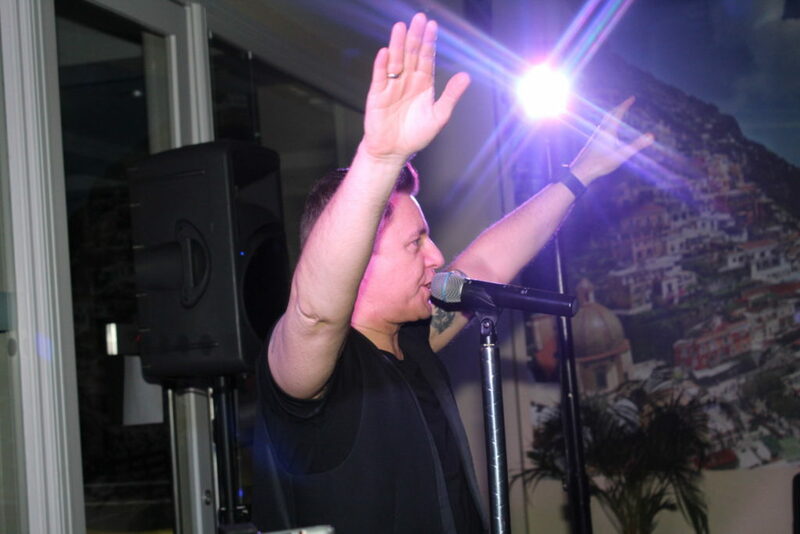 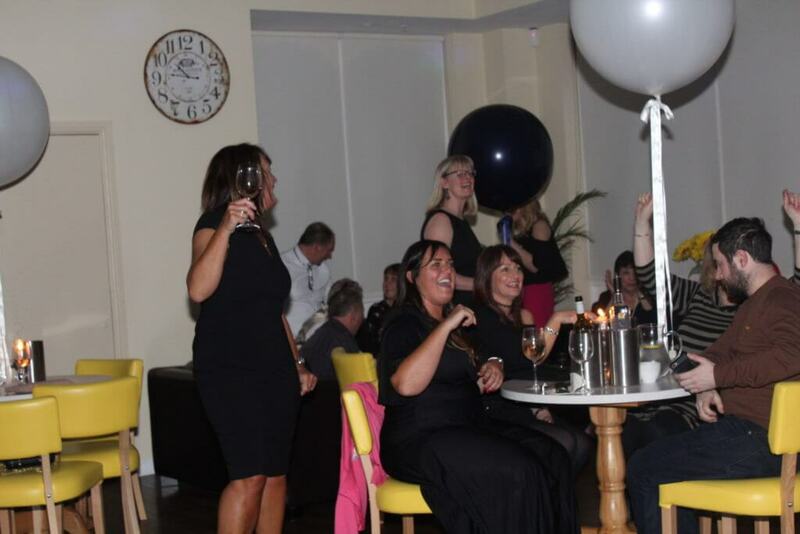 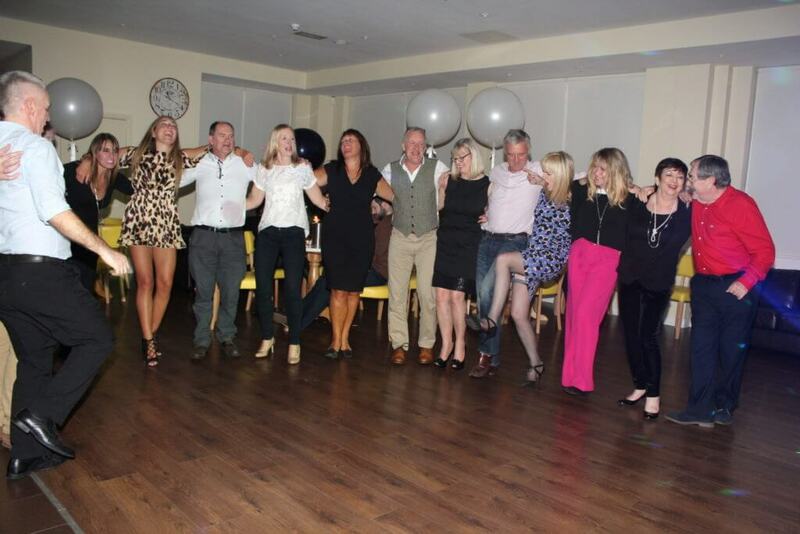 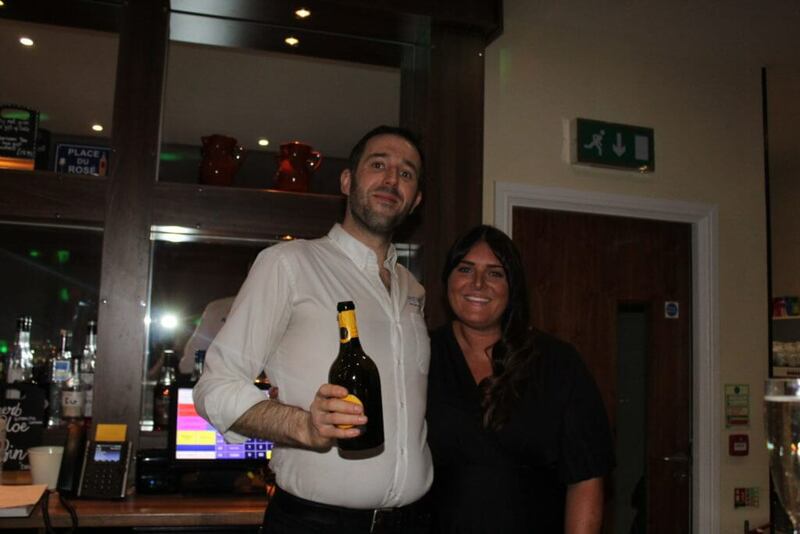 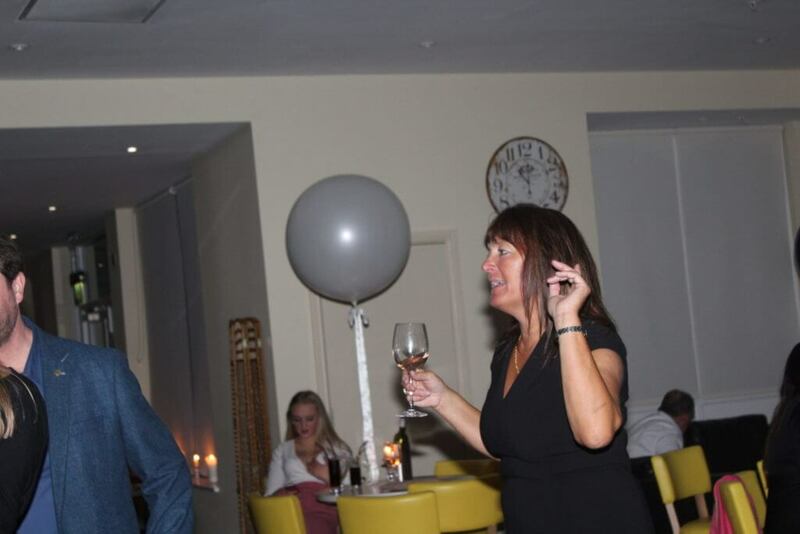 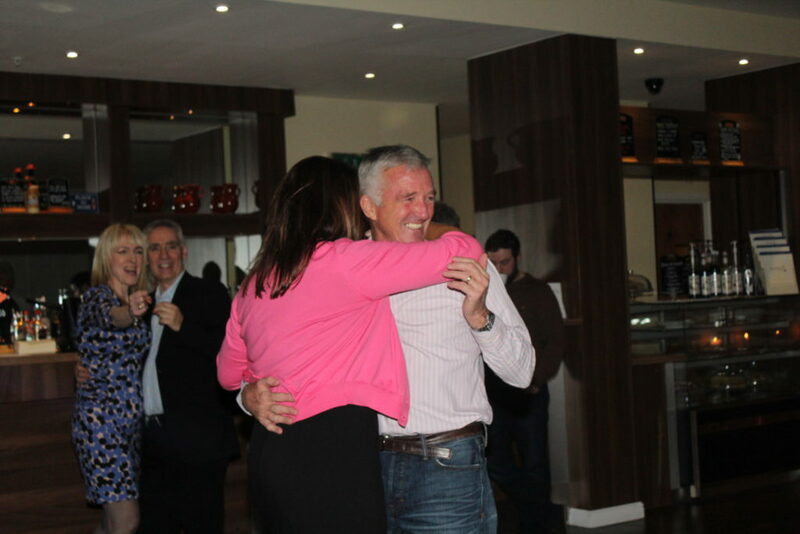 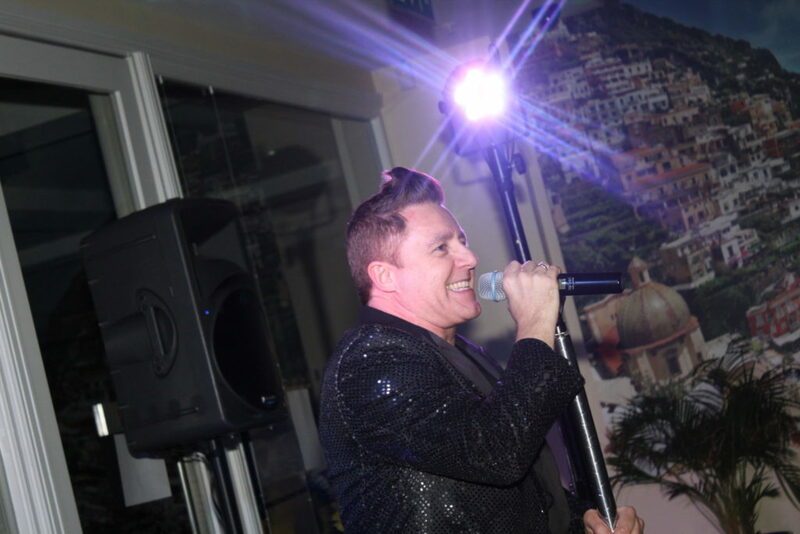 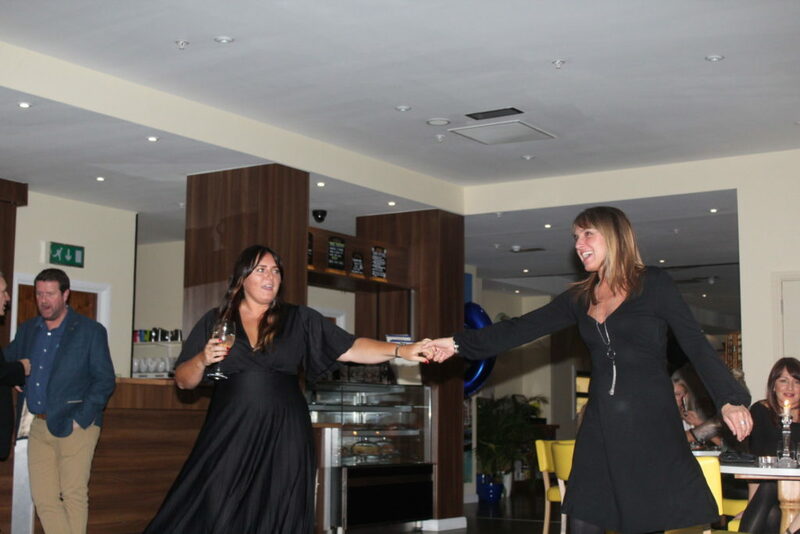 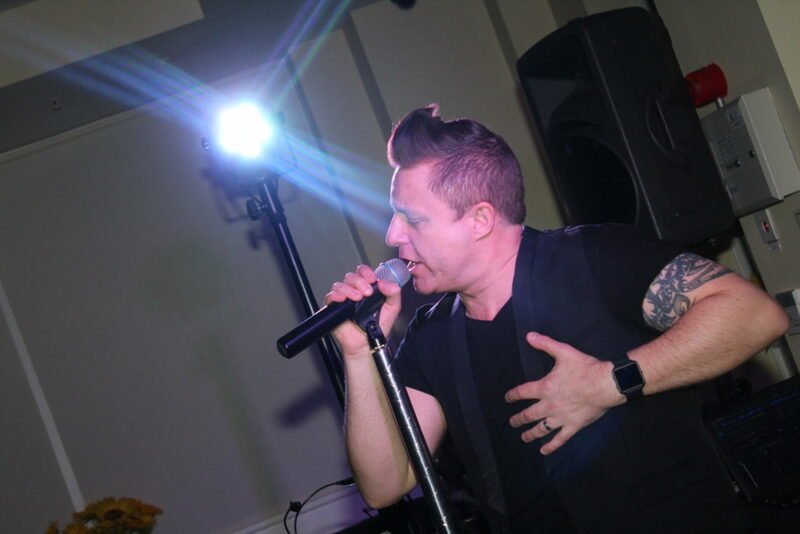 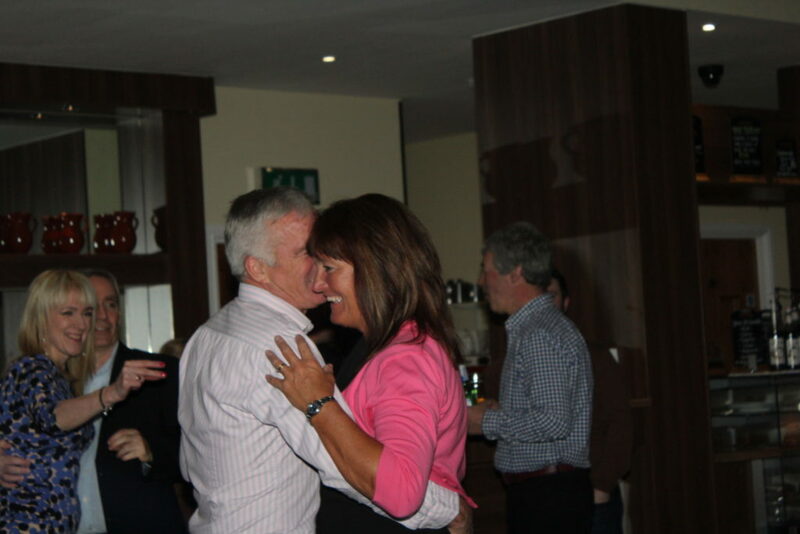 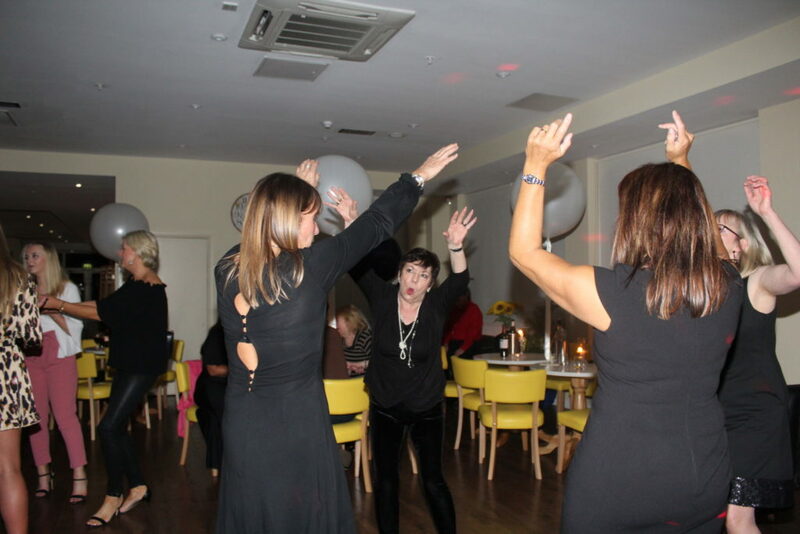 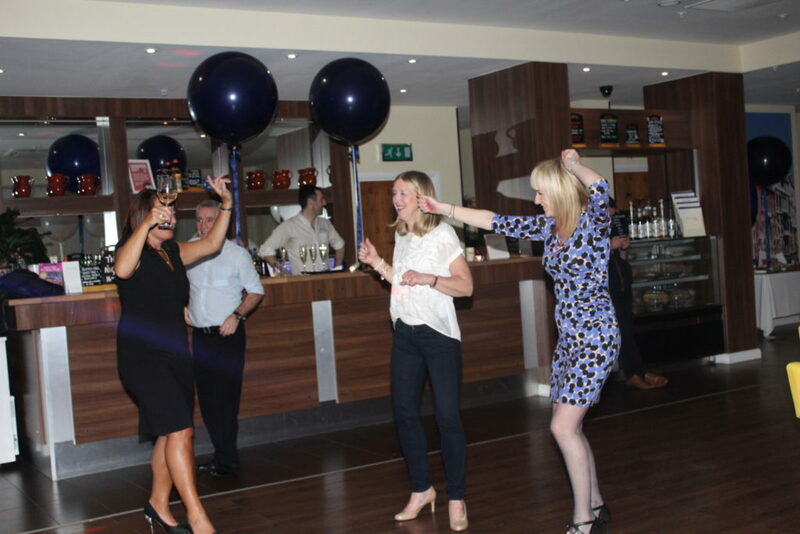 You provided a great atmosphere during dinner, got everyone dancing and simply made the evening very special. 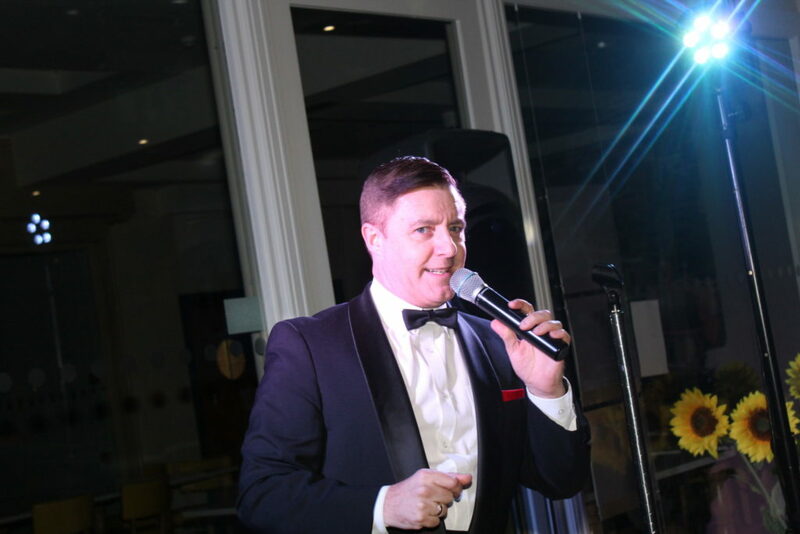 As we are in the hospitality industry and see lots of performers, acts etc we can confidently say you were exceptionally good. 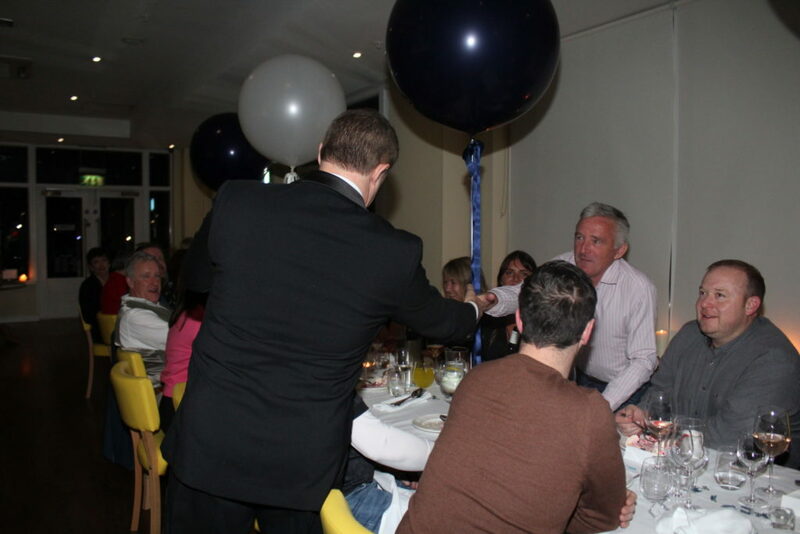 We would have no hesitation whatsoever in recommending you to friends, family or our customers. 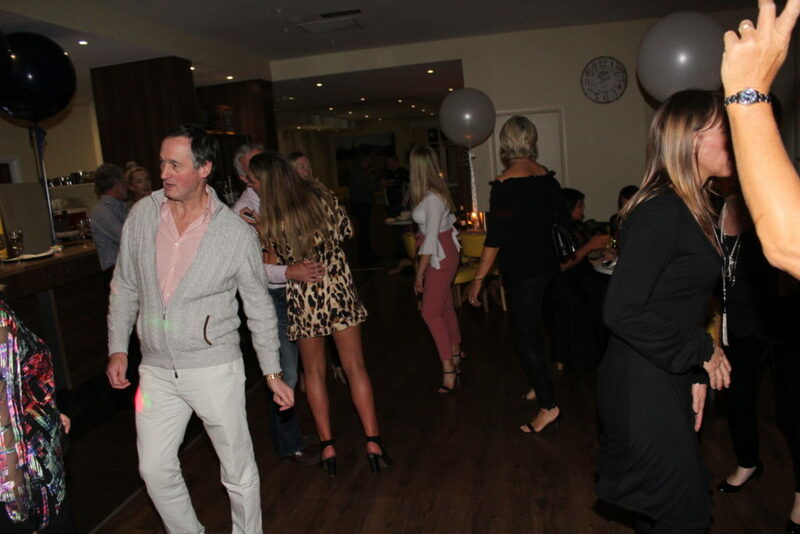 Charlotte (Phil's daughter) booked Andy just a few weeks prior to the party. 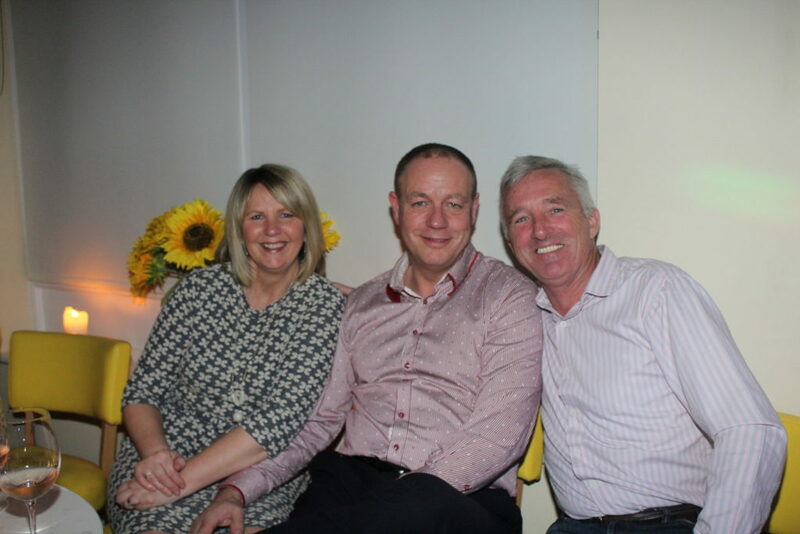 They had arranged a sit-down meal at their own restaurant, Terrazzo in Kendal. 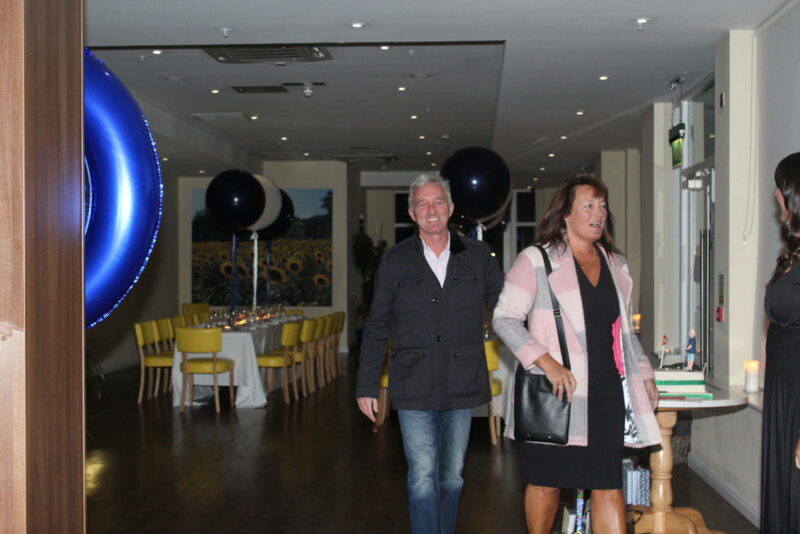 Everyone had some reception drink and canapes while they caught up and Phil recovered from the shock!!! 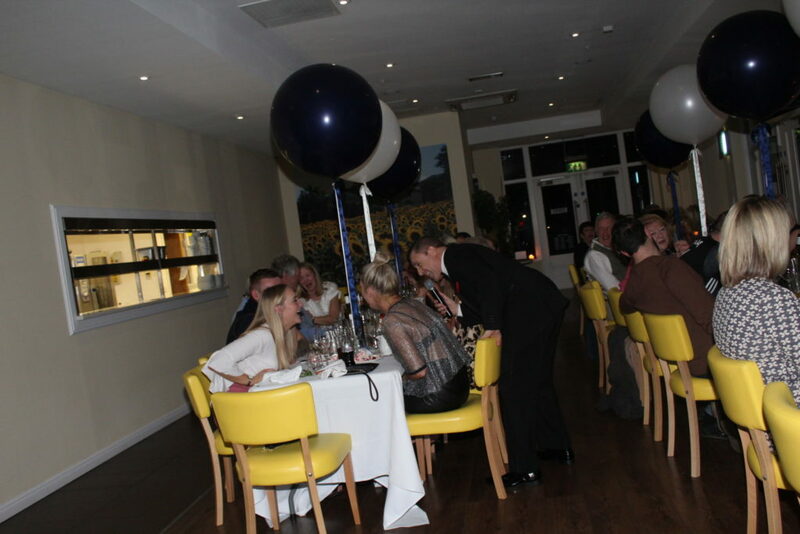 Then they sat down to a 2-course meal. 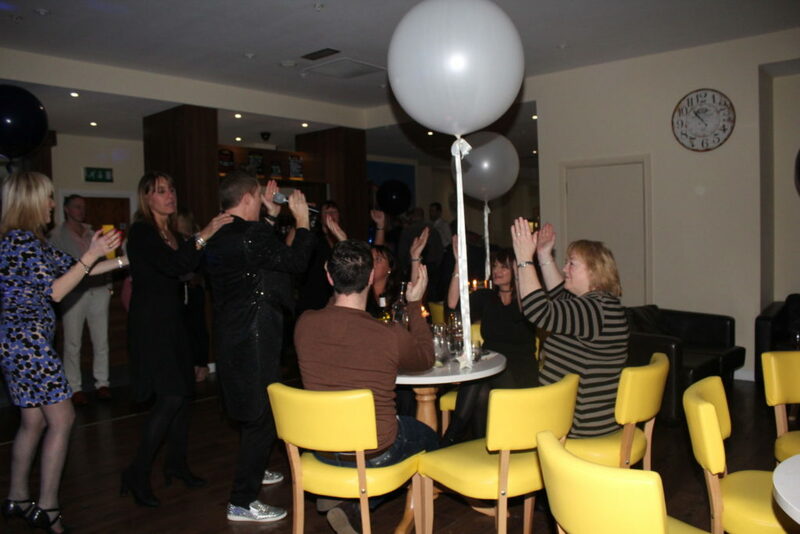 We played background music while everyone had their meal. 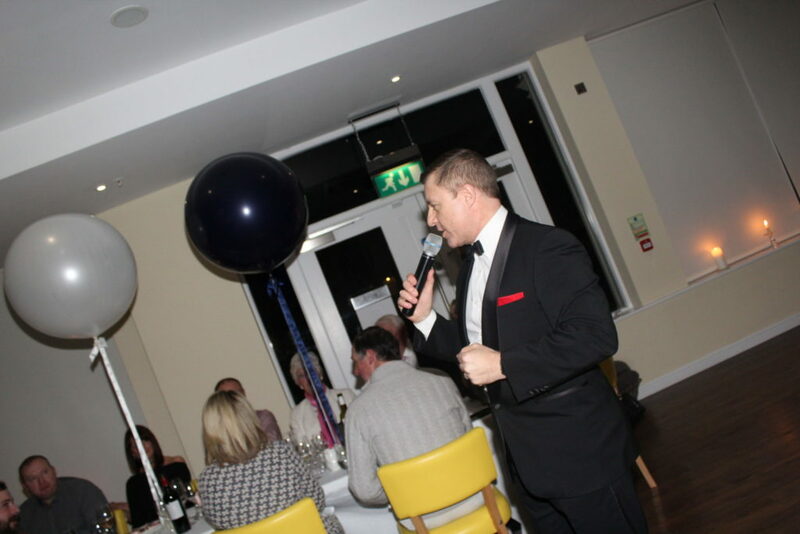 Once pudding was served Andy performed his Rat Pack show which was yet another surprise for Phil. 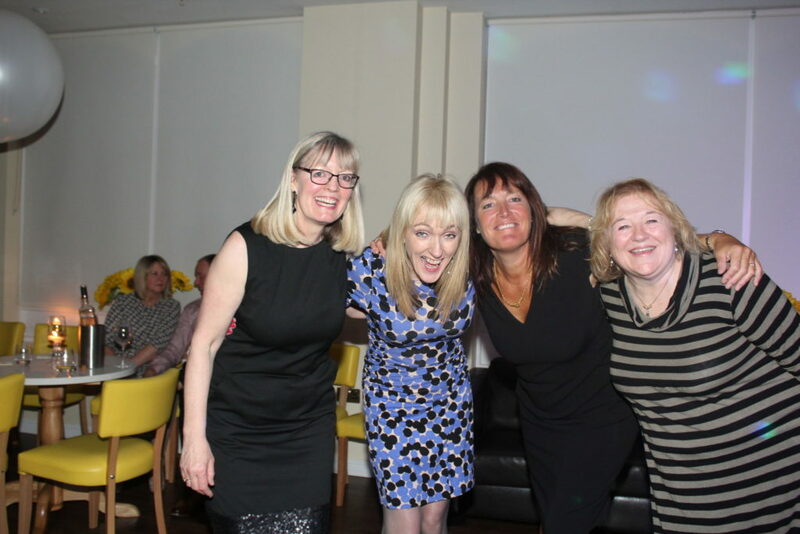 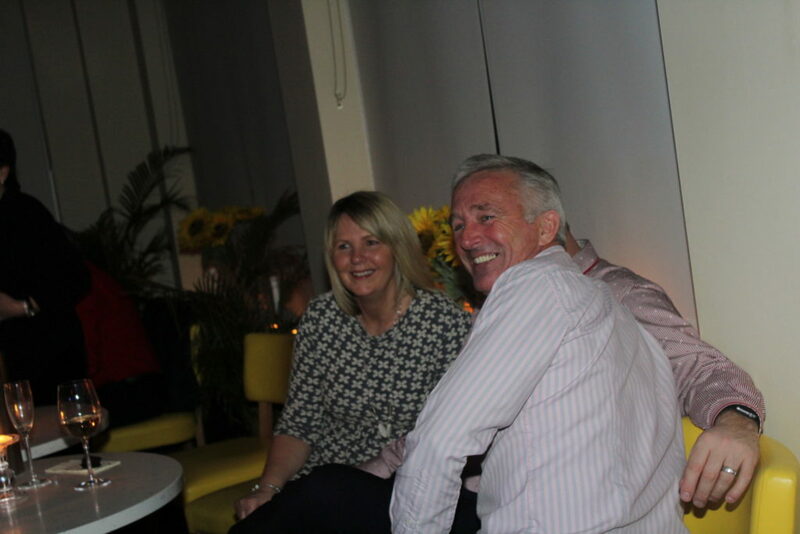 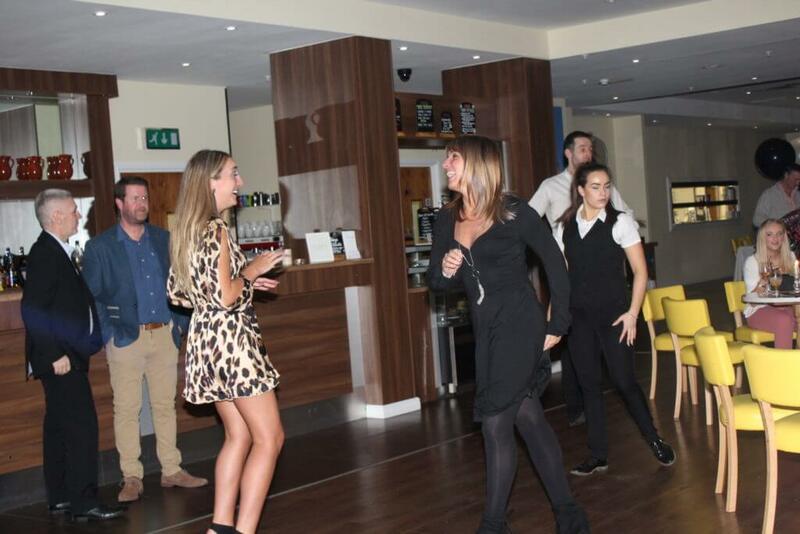 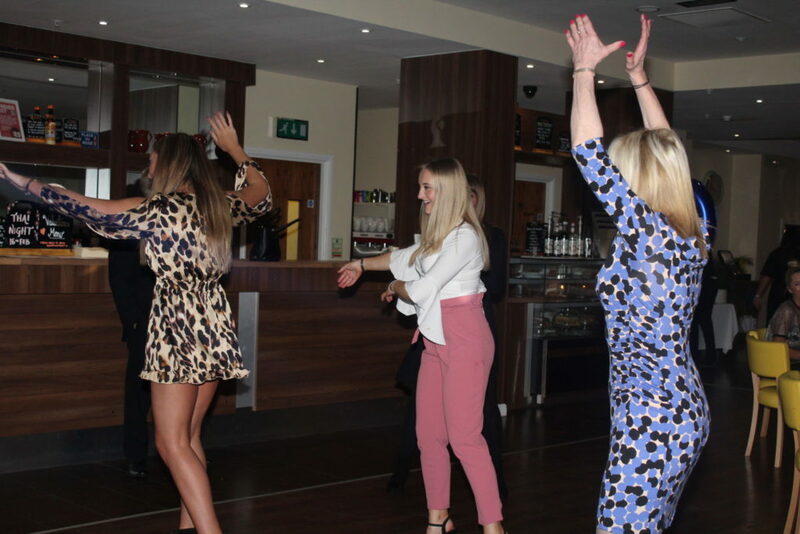 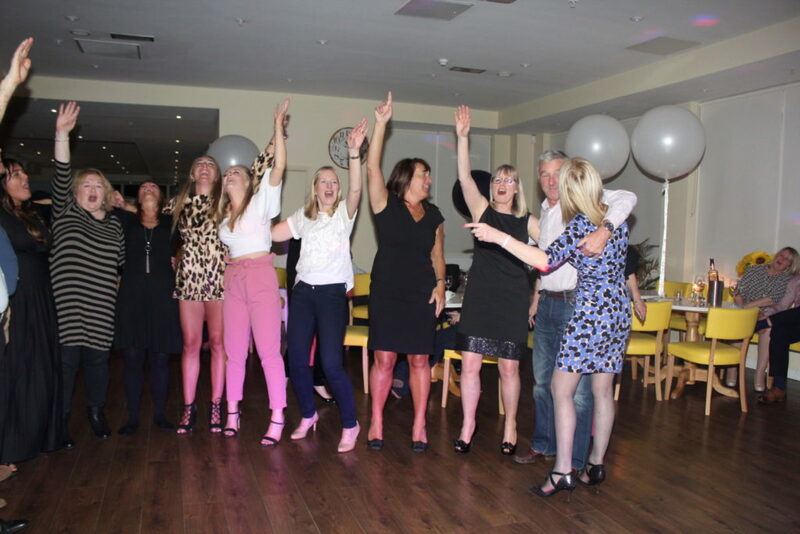 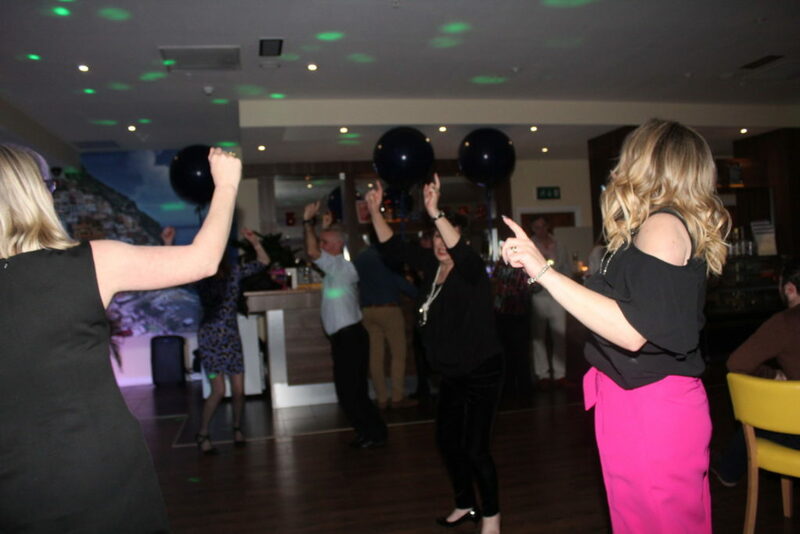 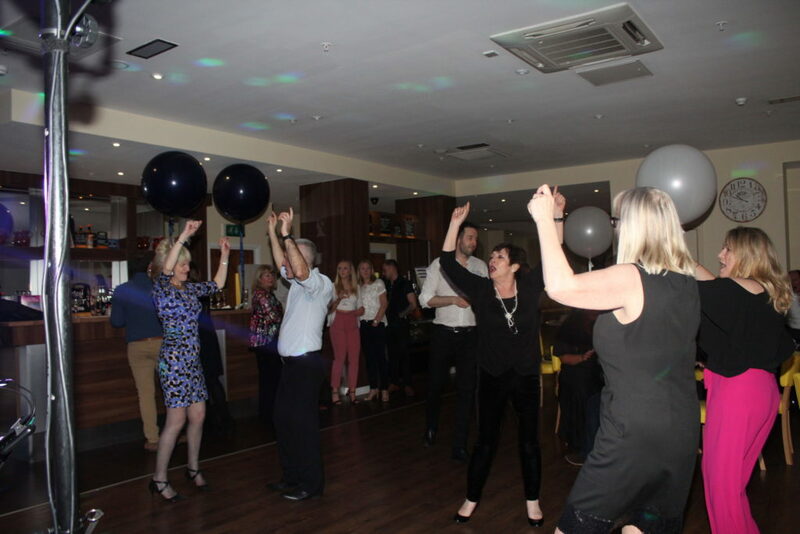 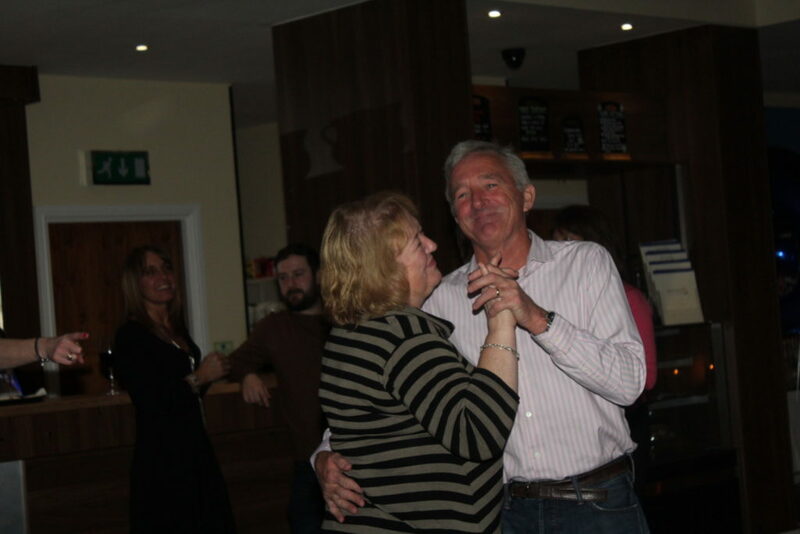 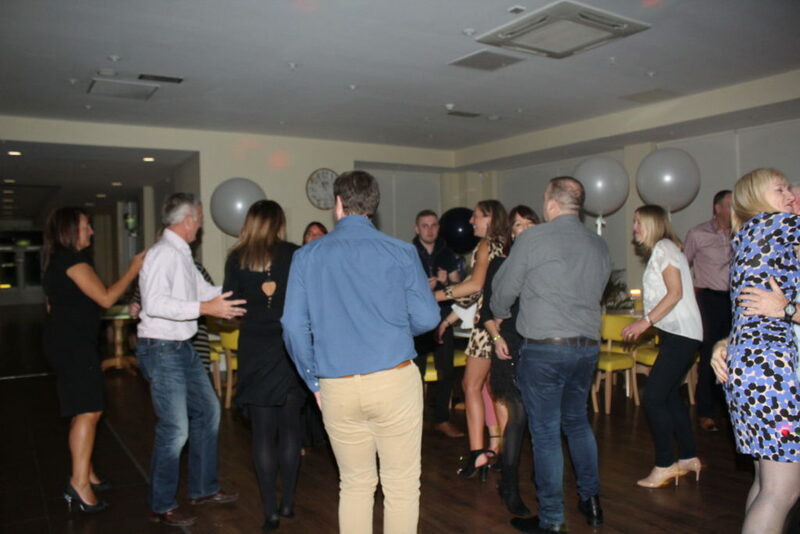 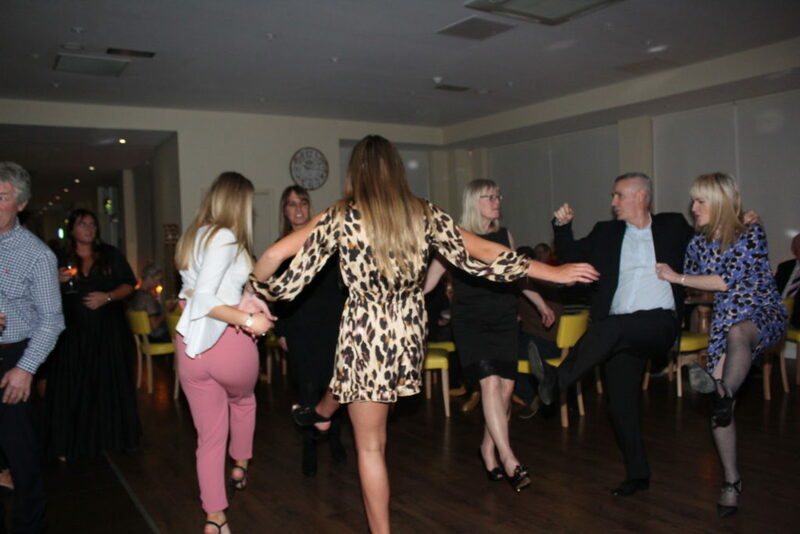 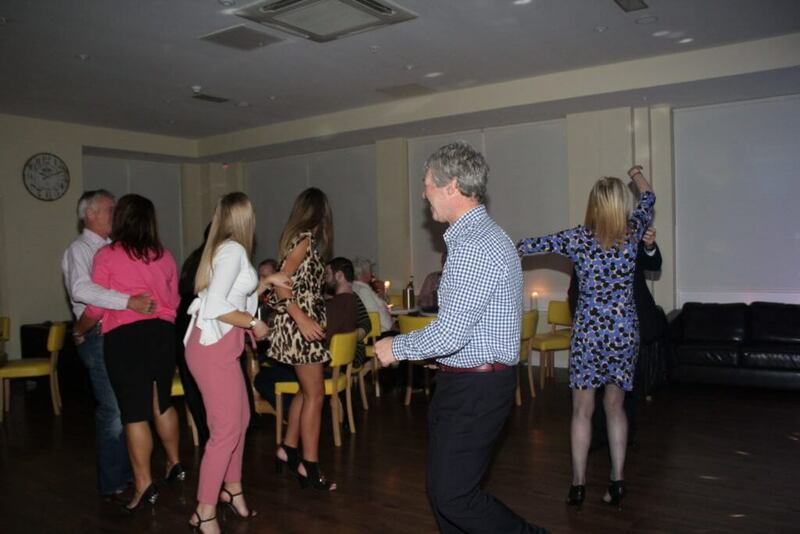 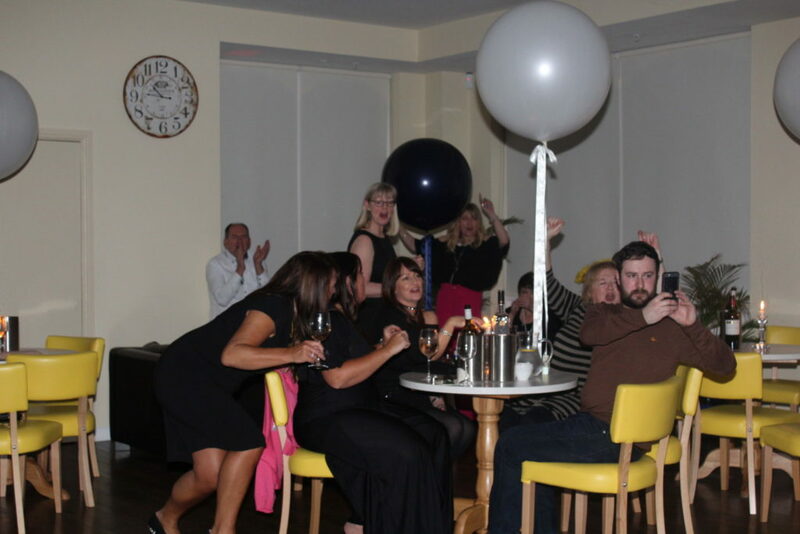 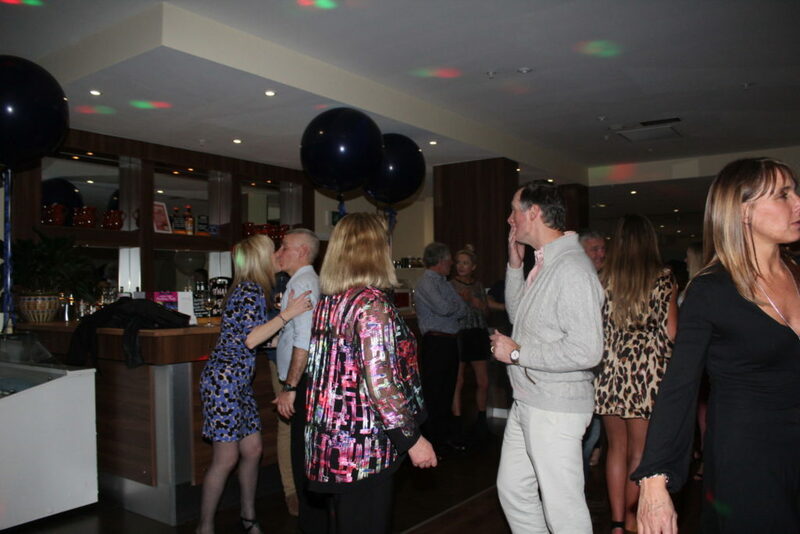 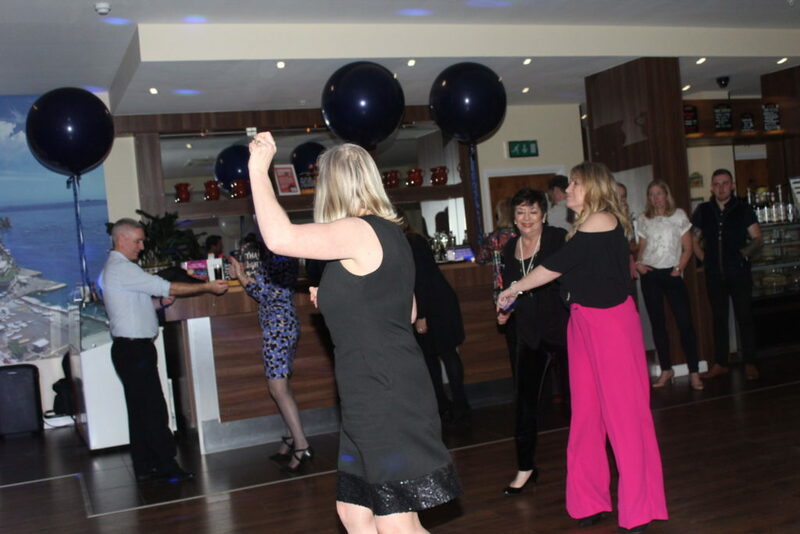 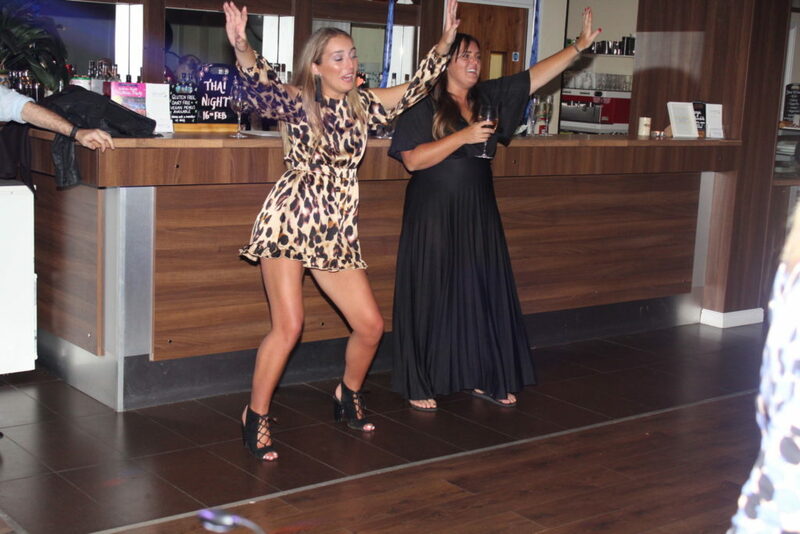 Once they finished their desserts everyone came down to the dance floor area and started dancing nearly straight away so we knew we were going to have a great night. 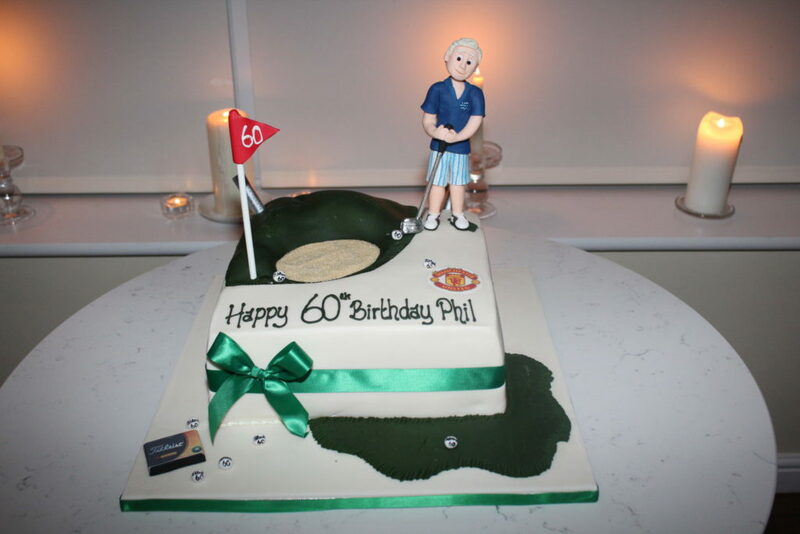 Andy sent Phil over to cut his cake and everyone sang Happy Birthday. 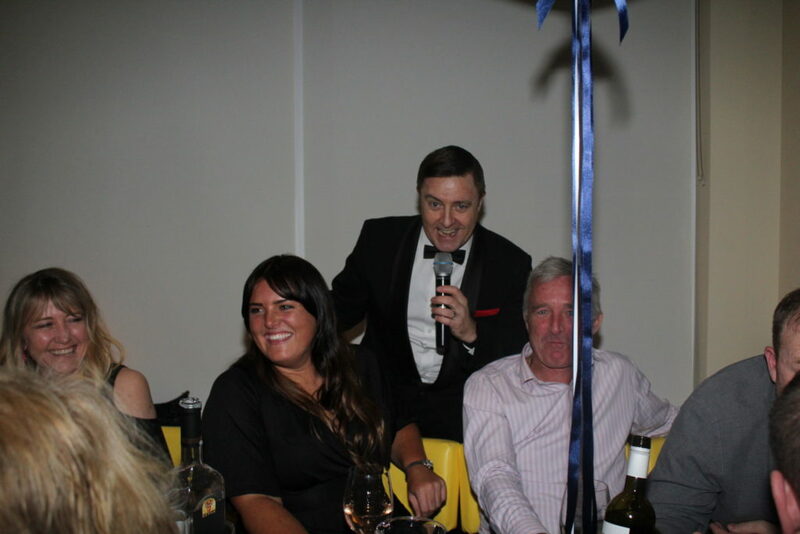 After a quick costume change, Andy was back with his Robbie Wiliams show. 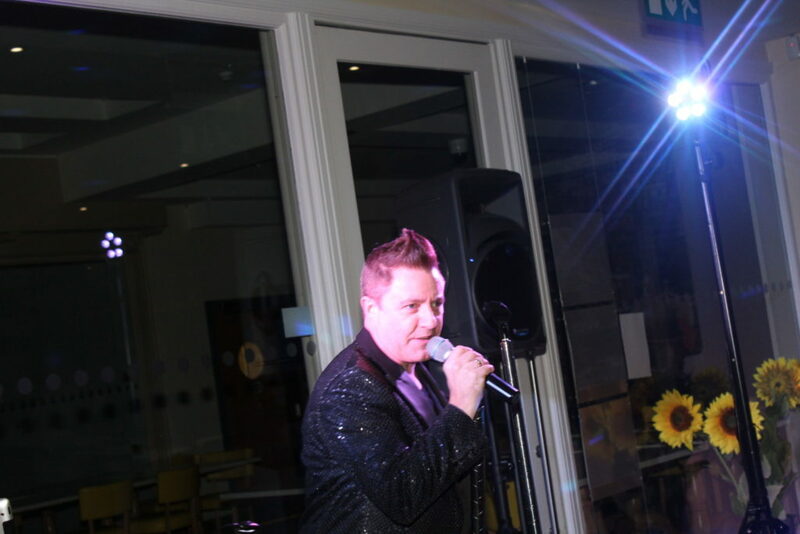 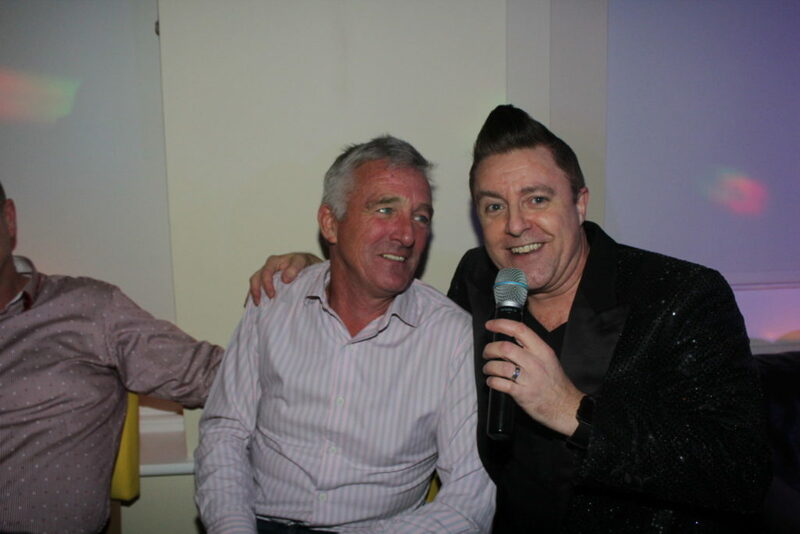 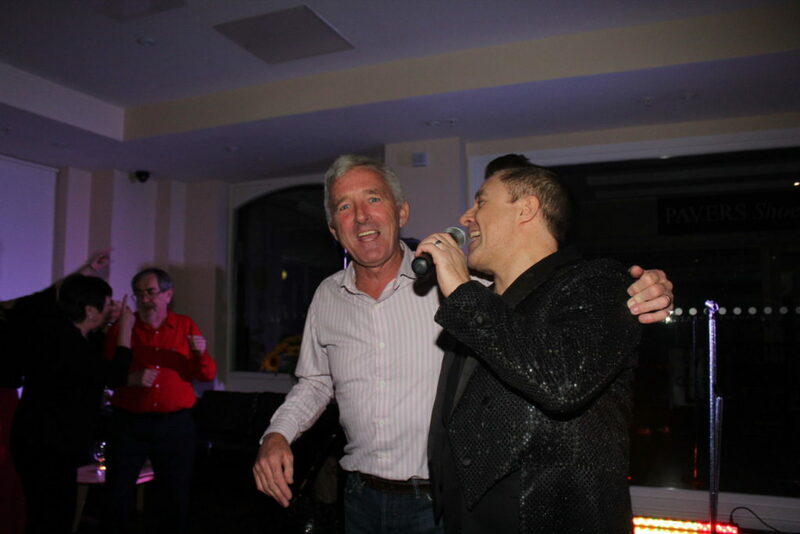 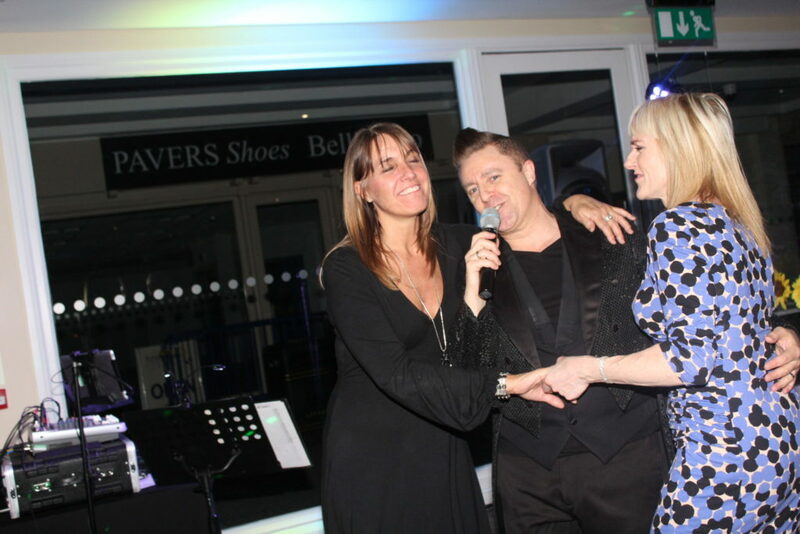 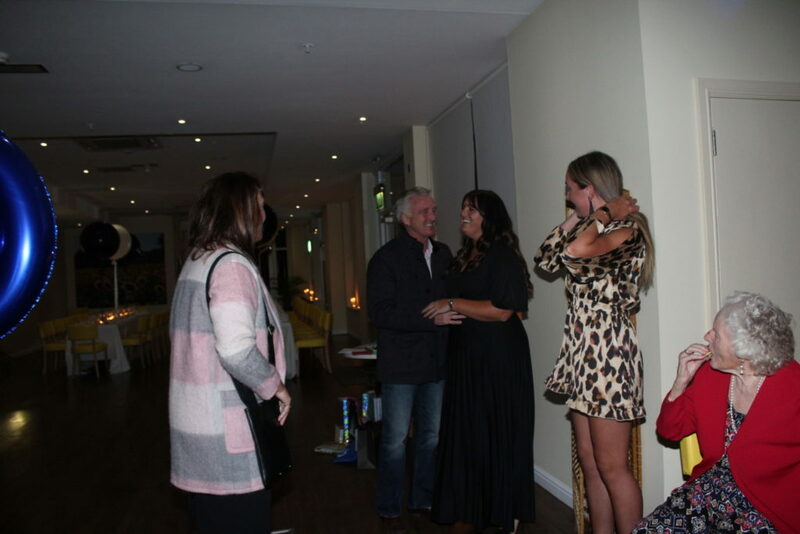 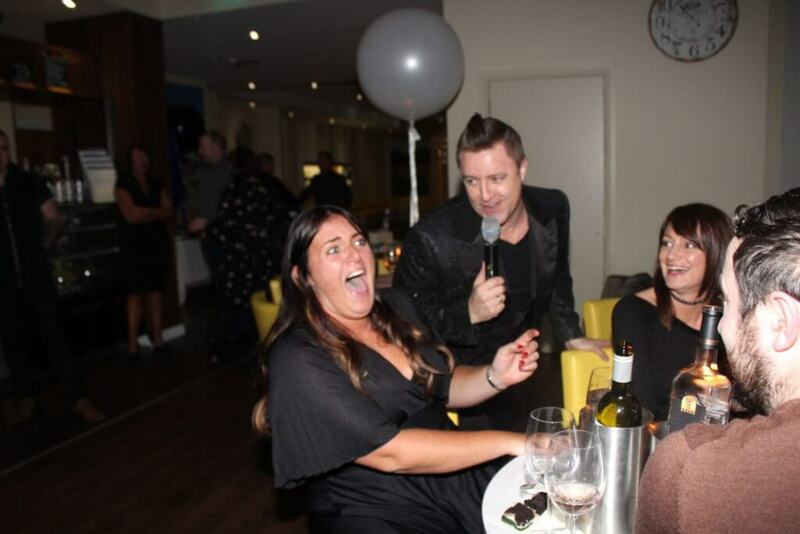 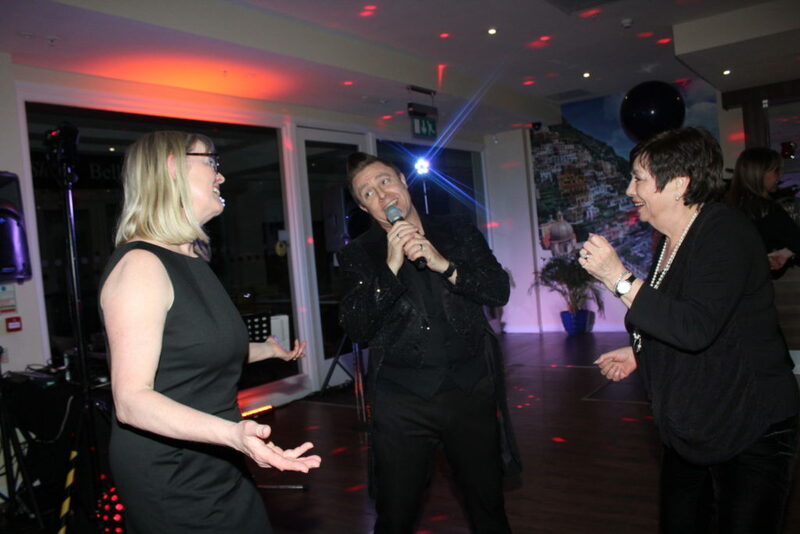 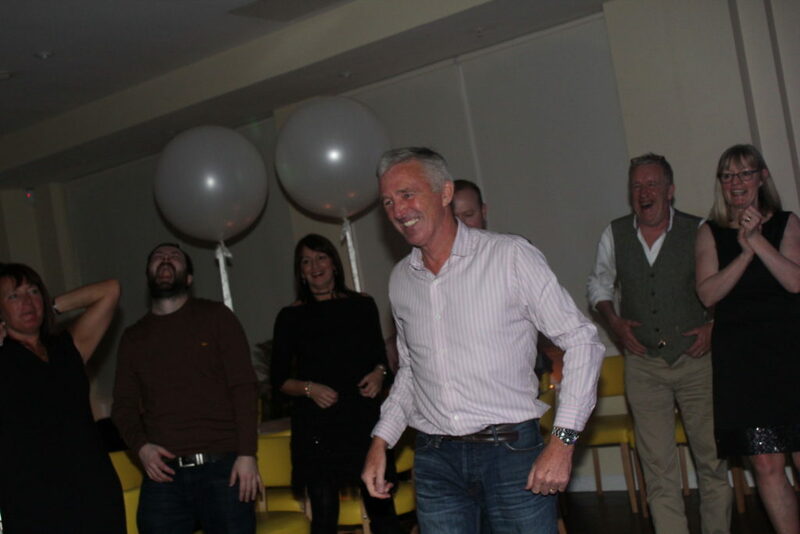 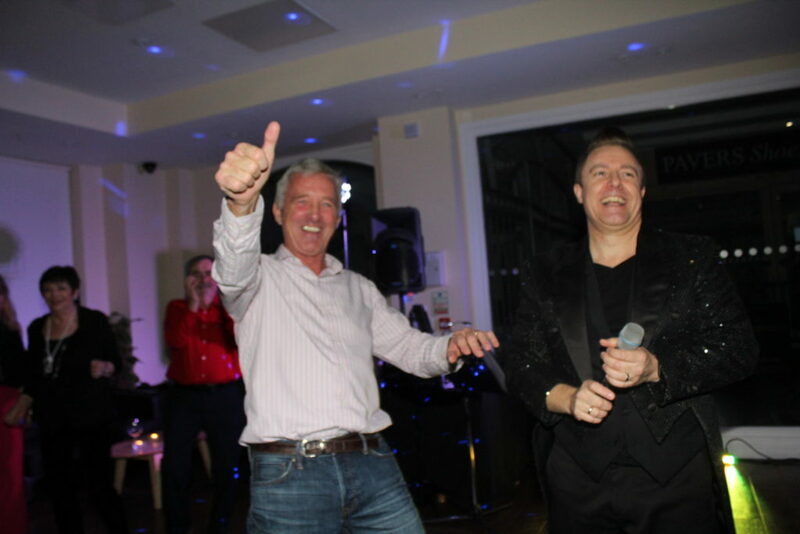 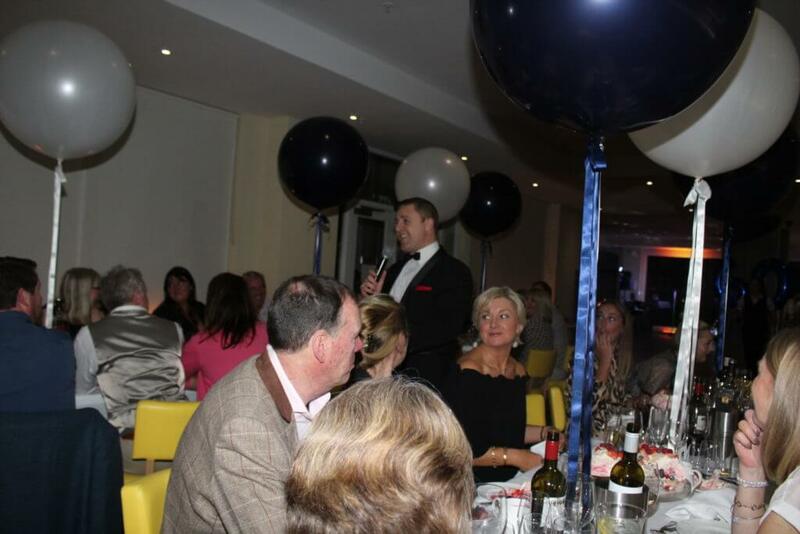 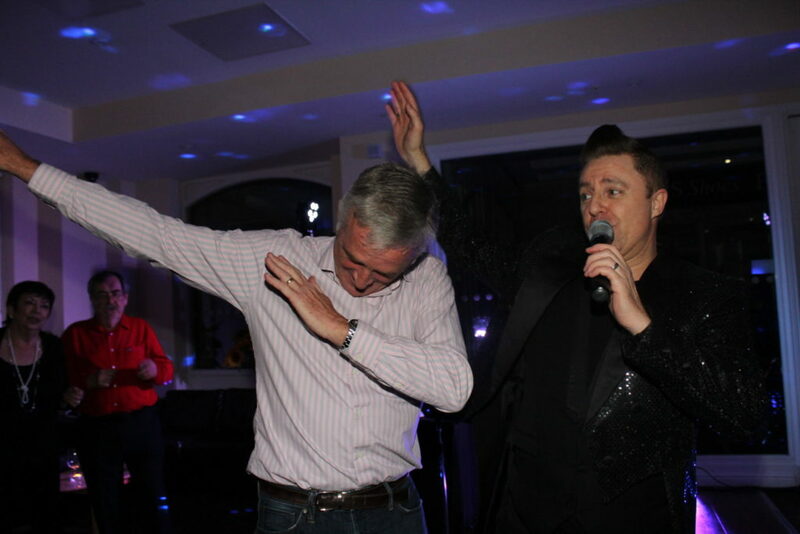 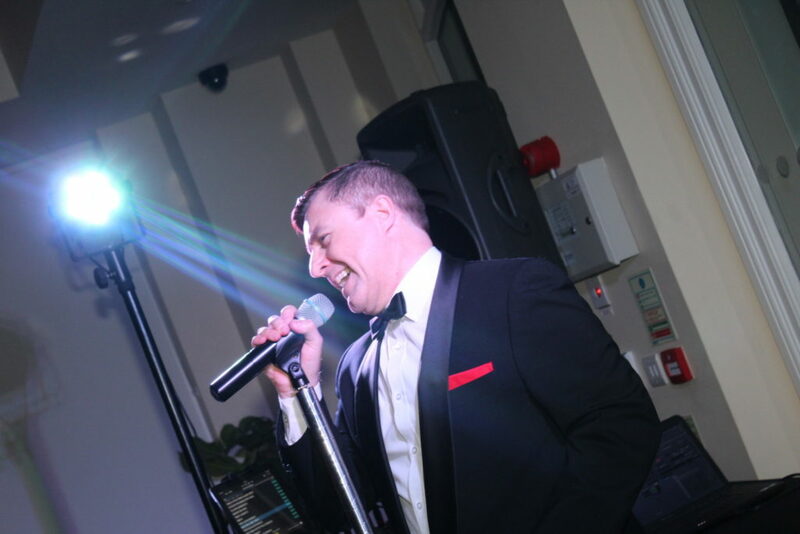 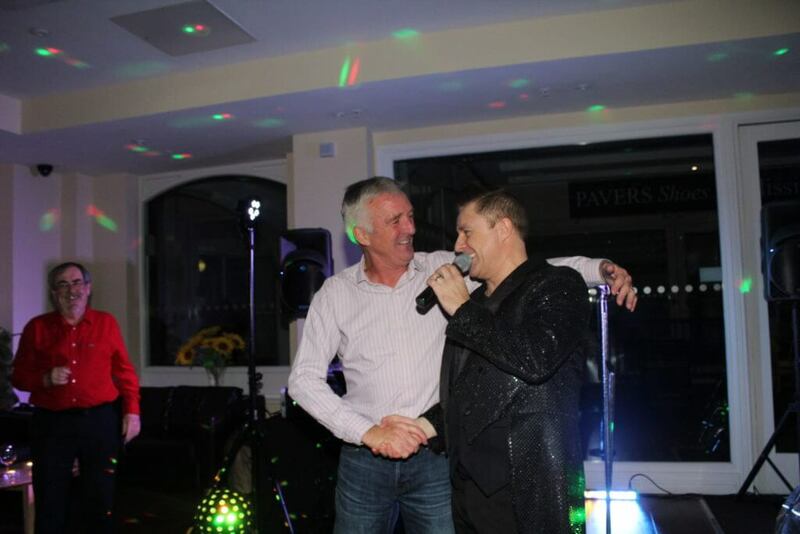 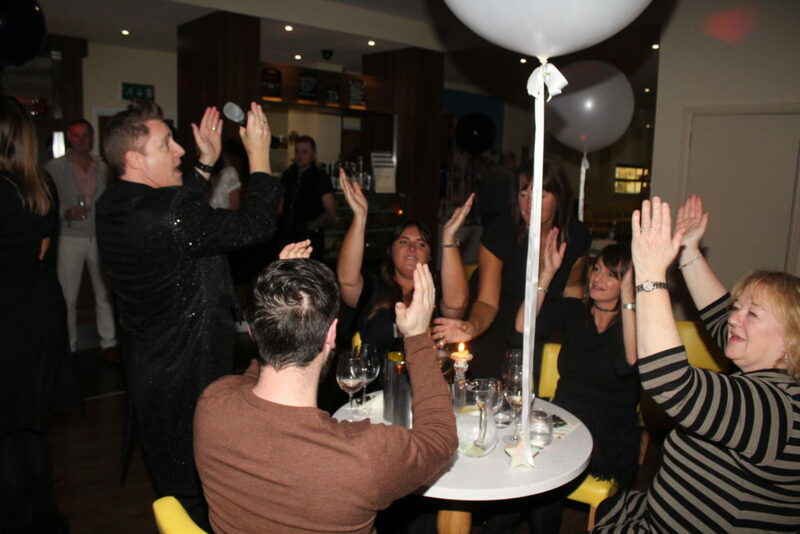 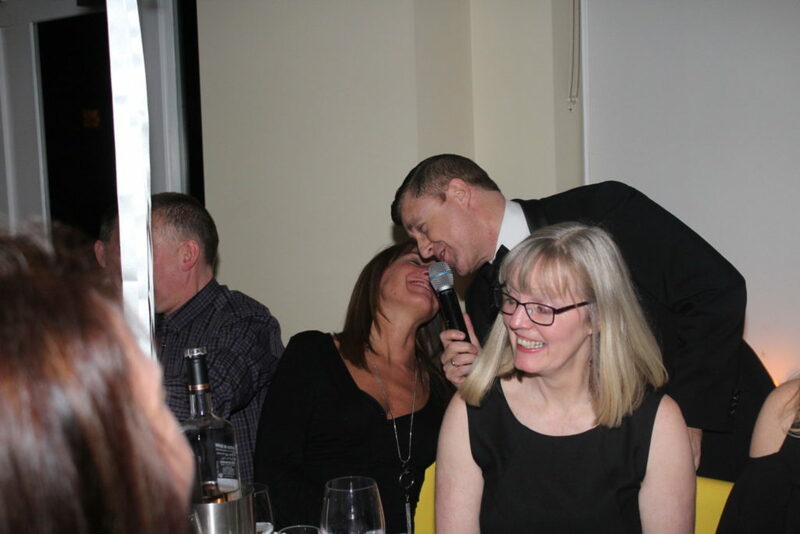 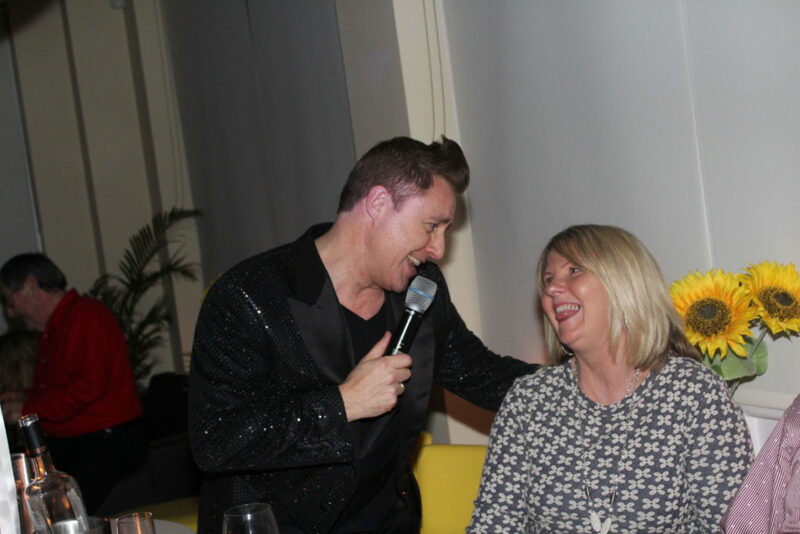 Again, the guests were on their feet, Phil even had a little sing with Andy, the guests loved it!!! 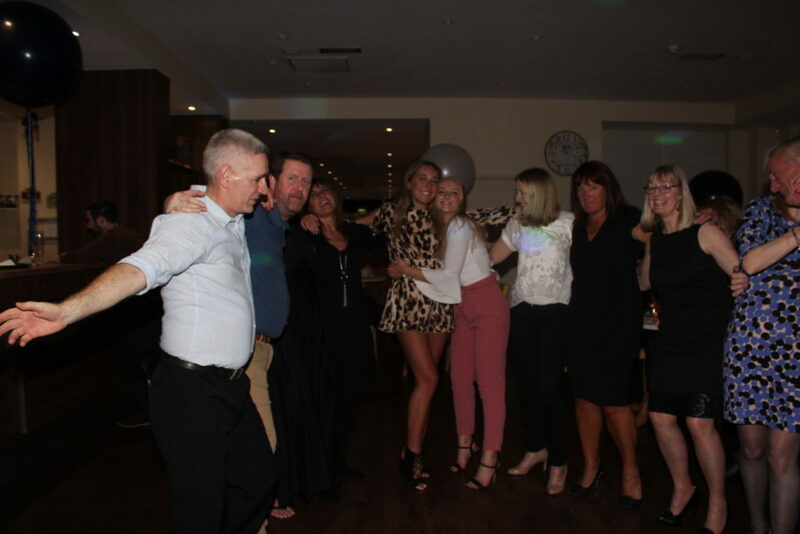 It really was a great night and boy do this family know how to look after their guests I have never seen so much food in my life! 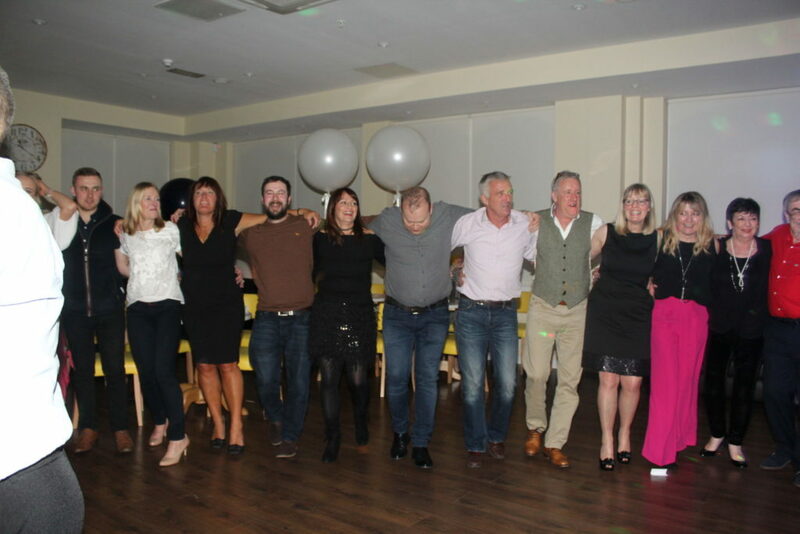 Hope to see you all again soon, it was a great night and a great family.